AwardsBringing home the CAN/AM Silver Medal! 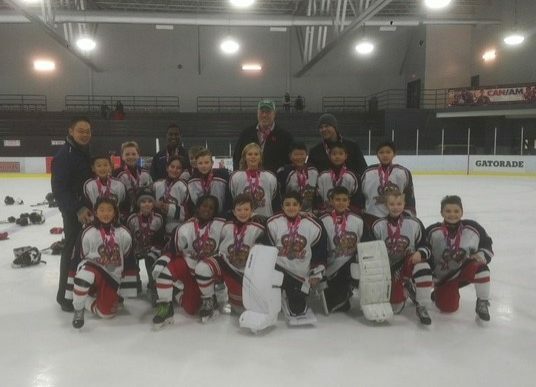 The Atom AA Royals competed in the recent Can/Am Tournament held in Pierrefonds. After winning three of their four round-robin games, the team coached by Don Liesemer succumbed in the finals to the Cumberland Grads. Congratulations to the players and coaches on their silver medal performance.